The four Willoughby children aren’t big fans of their parents… but thankfully, their parents don’t care much for the children, either! The parents plot to leave the children behind, and meanwhile - the kids are plotting to get rid of the parents! Along the way comes a nanny, an abandoned baby, and a rich old man. This book is a delightful parody of those pitiful old orphan tales. I thought this book was really funny; it reminded me a lot of Roald Dahl’s work - maybe more parody in this book, compared to Dahl’s flat-out silliness. 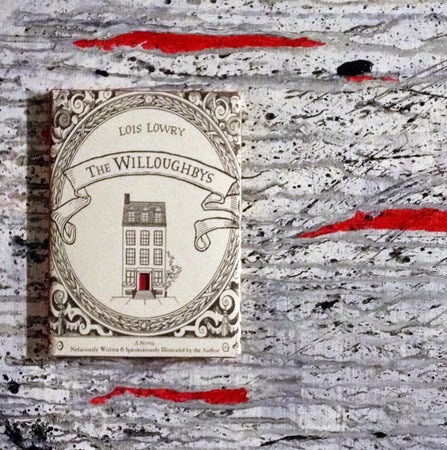 I’ve read a lot of Lois Lowry books before, but this one was unlike any others by her. That’s not to say I didn’t like it… It was an interesting book and made me smile, and the illustrations (also done by Lowry) were cute and added to the story. I especially liked the glossary at the end of the book defining some of the stranger terms used.